I consider myself fortunate to have the opportunity to practice with such excellent attorneys. I am proud they are becoming partners in the firm. - Jonathan G. Anderson, founder of Anderson & Associates, P.C. 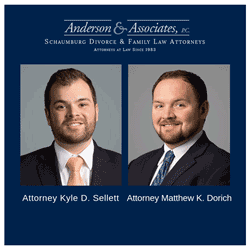 Anderson & Associates, P.C., is excited to announce that Kyle D. Sellett and Matthew K. Dorich have joined the firm as associate attorneys. Schaumburg, Illinois, attorney Kyle D. Sellett practices divorce, family law, estate planning, bankruptcy and creditor negotiations for clients in Cook County and the surrounding collar counties. Sellett began his legal career as a creditor’s rights attorney, handling trials and negotiations involving delinquent debts. He worked for 2 ½ years at his previous firm, becoming a supervisor. The Schaumburg family law firm of Anderson and Associates, P.C. was named in the Top 5 for “Best Law Firms” by Daily Herald readers. Anderson and Associates, P.C. is proud of the 2017 Readers’ Choice Top 5 'Best Law Firms' nomination, adding the honor to their extensive list of accomplishments. MAY 17, 2017 - The Schaumburg divorce and family law office of Anderson and Associates, P.C. 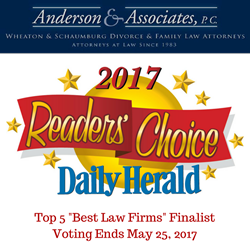 is proud to announce the firm was recognized in the 2017 Reader’s Choice Award as a Top 5 “Best Law Firms” finalist by the Daily Herald. Readers can vote for the law firm they believe is of the highest quality in Chicago area suburbs. Attorney Robert J. Boszko of Anderson and Associates, P.C. is honored to receive the Top 5 nomination on behalf of the firm. Voters are instructed to visit the Daily Herald website and name the business or place they wish to win for the appropriate category. After voting ends, the Daily Herald will tally the submissions and announce the awards, including the “Best Law Firms” winner. Final ballots must be submitted by May 25, 2017. Schaumburg, Illinois, Attorney Robert J. Boszko Honored as Emerging Lawyer. The Leading Lawyers Network has recognized firm owner Jonathan G. Anderson as one of its 2017 Leading Lawyers for Illinois. AUGUST 21, 2017 - The family law firm of Anderson and Associates, P.C., announces that the Leading Lawyers Network has recognized firm owner Jonathan G. Anderson as one of its 2017 Leading Lawyers for Illinois. Senior Associate Attorney Robert J. Boszko was also named a 2017 Emerging Lawyer. The Leading Lawyers Network annually honors the top attorneys by state and practice area, based on peer nominations and independent evaluations. A Leading Lawyer can be of any age or experience, while Emerging Lawyers are those who are 40 or younger or have practiced for 10 years or less. The organization is highly selective in awarding each distinction. Less than five percent of the attorneys in each state are named Leading Lawyers, and less than two percent are named Emerging Lawyers. Leading Lawyers is a division of the Law Bulletin Publishing Company. Attorney Jonathan G. Anderson founded Anderson and Associates, P.C., as a general civil practice law firm in Schaumburg, Illinois, and has expanded to several locations in the Chicago area. 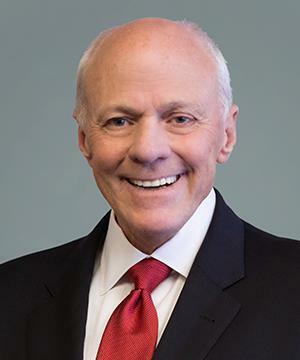 He has focused on divorce and family law during his career of more than 30 years. He now concentrates on complex divorce cases that involve high-value assets and net worth; prenuptial and postnuptial agreement enforcement; and the allocation of parental responsibilities. Several attorneys from the Schaumburg law firm of Anderson and Associates, P.C. recently participated in the Northwest Suburban Bar Association Mock Trial, and Law Practice Committee event. APRIL 10, 2017 - The Cook County law firm of Anderson and Associates, P.C. is pleased to announce that several attorneys recently took part in NWSBA legal events. Attorney Robert J. Boszko served as a judge for the 21st Annual NWSBA Mock Trial. “It was an honor to have our team participate in the mock trial event. It’s an exciting experience for the students that teaches them about the legal system and the law, and we were grateful to have been a part of this educational opportunity,” says Founding Attorney Jonathan Anderson. The annual mock trial event was held at the Third Municipal District Courthouse in Rolling Meadows, Illinois. Over 35 members of the NWSBA served as volunteer scoring judges for the day. Participating schools were eligible to qualify for State and National competitions. Over 400 students from 24 local high schools participated in this year’s tournament. The event offers students a chance to build crucial skills such team building, research, and public speaking. What is the Divorce Process in Illinois? 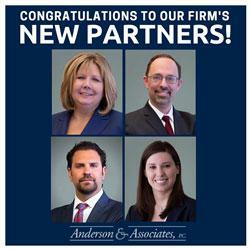 Anderson and Associates, P.C., with offices in Schaumburg, Wheaton, Orland Park, and Chicago, Illinois, serves clients in the cities and communities of Arlington Heights, Aurora, Barrington, Bartlett, Burr Ridge, Des Plaines, Elgin, Elk Grove Village, Glen Ellyn, Hinsdale, Itasca, Mount Prospect, Naperville, Oak Brook, Palatine, Rolling Meadows, Roselle, and Winfield. The firm serves clients from Cook County, Will County, DuPage County, Kane County, and throughout the Chicagoland area.